David Michael King writes songs about karaoke and Facebook, truck drivers and dancing, war and poverty. His debut recording, “Love and Other Punchlines,” takes a decidedly satirical approach to his subject. 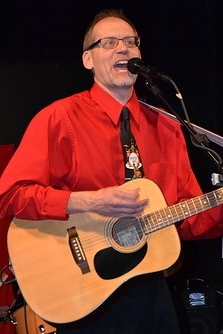 With a voice frequently compared to James Taylor, David’s melodies are moving and memorable, while his styles range from folk and blues to doo-wop and tango. 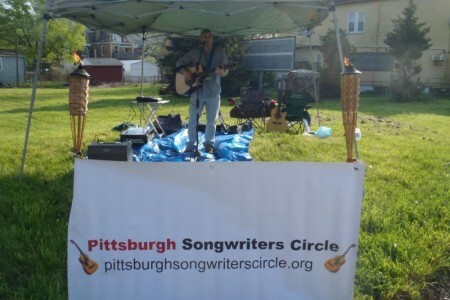 Pittsburgh Magazine highlighted David’s song, “Love Grows Naturally” as “standing out…a charming, country feeling.” The Saturday Light Brigade radio show called him “a very good songwriter.” His past appearances include the Acoustic Hour Radio Show (WCCS Radio), Bloomfield Bridge Tavern, Calliope Emerging Legends, Doo Dah Days, Heinz History Center, Kaleidoscope Arts Festival, Moodog’s, Papa J’s Centro and Pittsburgh Center for the Arts. David has a music degree from the University of Pittsburgh and works as a music librarian.